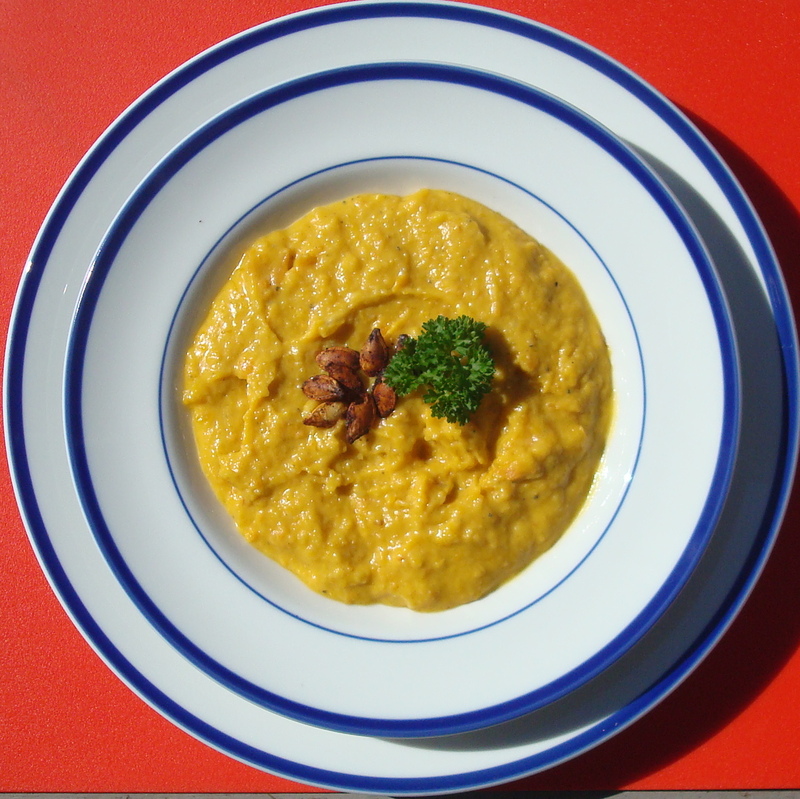 Subscribe to comments with RSS	or TrackBack to 'Sugar Pie Pumpkin Soup with Sweet Curry and Coriander'. how do you keep doing it. idea…you should have a link to your blog from here. people who know you would love to hear your thoughts beyond foodage. you’d butter curry up and get ‘er done. FYI, we’re making this for about the 15th time tonight. Perfect night for a little Gauche pumpkin soup!!! THE BEST! Hey brother! Hope it turned out! You still have the best food picture of this! Love to you and Jess!